I had an investigator show up at my office to introduce himself to me. I asked him what his specialty was and he said that he takes on all types of cases and he is involved in many sexual assault of children cases. He said that he works for an attorney who works many of these cases so he is a bit of a specialist in this area. He said that he isn’t afraid to catch the child (complainant/victim) between the school bus and their home and straight up ask them if they are lying about the accusation. I was horrified! How dare any investigator re-victimize the child if that child is a true victim. Nobody should be permitted to do an interview or question a child in this manner. Whether the defendant is innocent or guilty, there is a responsibility to protect all children. A child will automatically have a fear of a stranger walking up to them since the “Stranger Danger” message is taught in most every school and home now. Then, if the stranger begins to ask questions, the child faces the confusion on whether to answer because an adult is questioning them or to run, because the stranger hasn’t been properly introduced by the parent, school officials or someone that they trust. If the child is a minor, the parent needs to give permission for the interview. There may be laws that protect victims restricting these actions and the investigator better know what those laws are before stomping on these grounds. An investigator should check the victim’s rights laws in their state for certainty. If it is not legal, then the attorney faces admissibility in the trial if it is found out how the information was obtained. Regardless of admissibility in court or trial or other legalities, what about ethics? If the investigator appears to be less than honorable in the methods used to get information, it could sway the jury’s opinion and if that consequence isn’t far reaching enough, consider possible future client’s opinions if they hear about your reputation. There is a certain type of demeanor that the investigator needs to display when interviewing children that is very different that what one may use with adults. It takes a bit of time to warm them up to become trusting enough to open up and tell the gory details of the incident that they have encountered. Some kids are very embarrassed about the subject and then others may be scared to talk about the subject. No one really knows the emotion that the child will display but should be prepared for any. That demeanor needs to be similar to a very caring parent role (even though you are not and have no interest in a role other than that of an investigator). Getting down on their level is very important. Sometimes, getting on their level may mean the type of verbal communication that you would use to talk to them (not baby talk but not harsh “just the facts” type of talk either) to your physical positioning. A grown up that is standing next to a child can automatically cause the child to feel an authoritarian approach or a sense of intimidation. If the investigator sits on the floor with the child or at least sits in a chair, this move will help to thwart any intimidating or authoritarian feelings. The child needs to feel that care and concern and willingness to help them and to protect them from every scary thing that is in your power. Children can be very good at reading a person. If they see you as insincere, they will not open up. This demeanor is needed by the interviewer whether you are interviewing a truthful or untruthful witness/complainant. Remember that the child may truly be a victim and even if merely a witness, there could be collateral interests or damages to a child who is questioned if the child is friends or family with either the victim or the defendant. They can suffer emotional pain even when questioned properly but more so if they feel afraid that the parents and not supporting them. This is why the parents should be asked permission before questioning a child. Remember to be on the child’s level in communication and in physical positioning. If the investigator uses words that the child is not familiar with, the child may be too embarrassed to tell the investigator that they don’t understand and if the child is in fear of the investigator, they may respond favorably to the question just because they believe that it is what the investigator wants to hear. The investigator does not always have control of the surroundings where the interview takes place but an attempt to make the child feel comfortable is very important. If the investigator is taking notes during the interview, it may make the child feel uncomfortable when they respond to a question and see the investigator writing from time to time. It is better to record the interview for reference than take notes however, there are state laws pertaining to recordings and it is the very best practice to obtain a parent’s written permission prior to doing so. An investigator should never treat the child at the onset like they believe that they are lying. There may be a way to transition to helping a child to tell the truth as the investigator gets further along. An investigator who acts as though they are helping the child will be more likely to get the truth rather than using a technique as to catch the child in a lie. An investigator should never use a scare tactic as it could possibly cause serious concerns for trial, for your reputation and possibly for the child’s well-being. As adults, we should always defend and protect children at all costs but more importantly we, as private investigators who should be considered trustees of the truth, should never be the guilty party in injuring a child – even if only emotionally. We should all be able to look at ourselves in the mirror each day with honesty and know that we have been on the right side with all of our actions! Catherine Torrez was a police officer for more than twenty years and served as a reserve police officer for the city of Grand Prairie, TX. She served as patrol officer in Everman, Texas, working in areas such as D.A.R.E. (Drug Abuse Resistance Education) officer, school resources, gang intelligence, community services, and criminal investigations. She moved on to the White Settlement ISD Police Department to work as the School Resource Officer and became captain of the police department. She served as the police chief for the city of Cockrell Hill, Texas, for four years. During her years as a police officer, Torrez attended the Law Enforcement Management Institute of Texas to gain her management certificate. She has also received her Police Instructor Certificate, Mental Health Officer Certificate, and Master Peace Officer Certification. Her Professional Profile can be found at http://www.catherinetorrez.com/cst-resume.pdf. 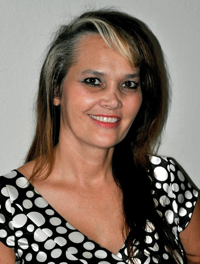 After leaving police work, Torrez worked for two years as a private investigator with Taurus Investigations, She is now the owner and manager of Stiletto Spy and Company Investigations (www.StilettoSpyInvestigations.com). Torrez is the mother of five children and grandmother of ten. She was a longtime member of her church board and member of the board of the school her children attended. She is the author of Tragedy to Triumph: Discover the Secret of Gaining Victory over Abuse (www.TragedyToTriumphBook.com) and newly released book Unburied Treasure: A Guide To Leaving Your Legacy. She is a public speaker and educator on many police/safety subjects and Christian faith topics listed at www.CatherineTorrez.com.